The Super Nintendo (SNES) is one of the most fondly remembered video game consoles of all time. It’s home to influential titles like The Legend of Zelda: A Link to The Past, Super Metroid, Bomberman, Final Fantasy VI and Super Mario Land, and many more. For most people who grew up playing games in the early to mid 90s, Nintendo’s second home video game console – released in North America in 1991 – is more than likely their favourite system of all time (unless you were a Sega kid, of course). Its iconic grey and purple-buttoned controller (or red, yellow, green, blue and gray, in Japan) gave the system a distinct look, helping it stand out from the swarm of other competing 16-bit devices available at the time, securing Nintendo’s position at the top of the video game market. And now you can play all of the Super Nintendo’s most fondly remembered titles on almost any Android device, with the help of one of the many emulators available for the platform. This helps avoid the ridiculous price of purchasing most of the Super Nintendo’s top titles today. Games like Final Fantasy VI sell for between $150 and $200 and other more valuable titles like Earthbound can fetch even more astronomical price tags. 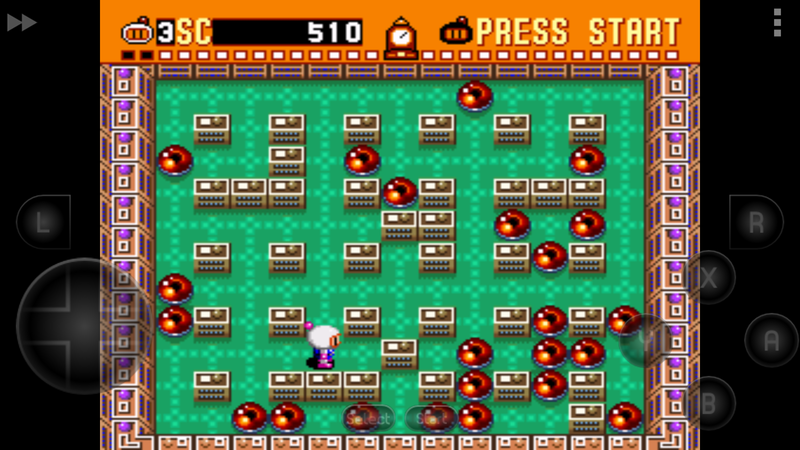 But not all Android Super Nintendo emulators are created equal. Many have spotty game support, lack the ability to use a physical controller, or unfortunately cost more than they are actually worth. Emulation on any touchscreen device is also often a tricky affair because having on-screen buttons plastered across a touchscreen obstructs the player’s view, and touch controls will never be as accurate as a physical controller, especially when playing games originally designed for a tactile gamepad. Unlike PlayStation Portable (PSP) emulator PPSSPP, thankfully most SNES emulators are compatible with a variety of Bluetooth controllers, without the need to root your device, making playing Super Nintendo games on Android devices a far less painful experience. 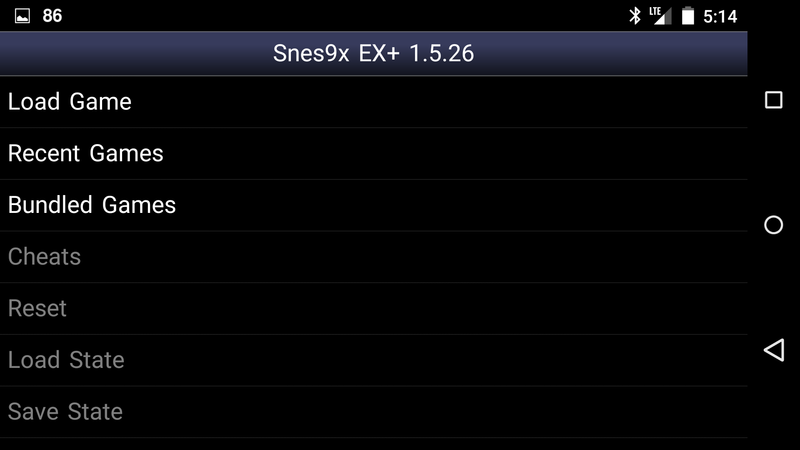 SNES9X EX+ is one of the best Android SNES emulators available on the platform. However, its interface is basic and boring, especially when compared to Super GNES, but it’s free and supports most of the features the average user needs from a SNES emulator: .sfc, .smc and .zip file compatibility, as well as the ability to work with controllers like the Wiimote or PlayStation 3 Dualshock 3. Saved games as well as in-game saved stats are another great SNES9X EX+ feature as well. 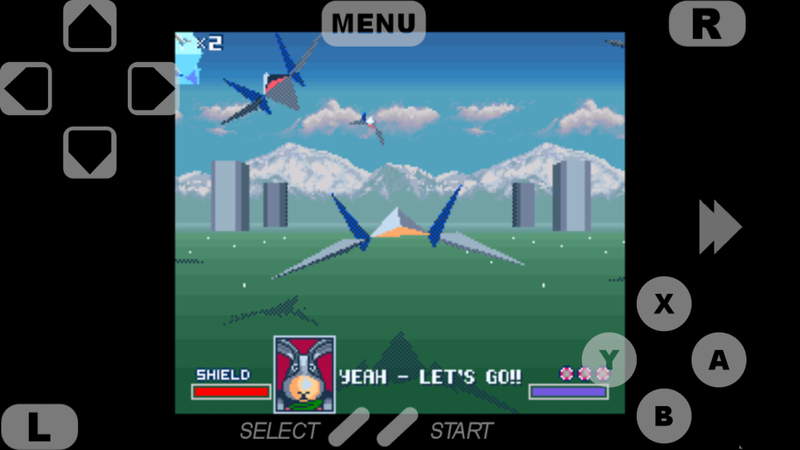 All of the major titles I tested out on the emulator also worked flawlessly, even Star Fox and the unreleased Star Fox 2, two titles many SNES emulators often have difficulty running because of their cartridge’s unique Super FX chip, allowing the 16-bit SNES to produce 3D polygon-based graphics. SNES9X’s biggest drawback is it requires a relatively powerful smartphone with at least a 1 ghz processor, which pretty much every modern Android device has anyway. It’s also free and doesn’t feature any embedded advertisements, which is always a positive thing when it comes to any free app, especially on the Google Play Store. SuperRetro16 (formerly called SuperGNES) is by far Android’s most popular SNES emulator and for good reason. Its interface is slick and easy to navigate and offers Dropbox integration, allowing users to play the same game and saved file across multiple platforms (although this feature seems to only work with specific devices). Unfortunately saved stats are tied to the paid version of SuperRetro16, although its $3.99 price tag is more than reasonable given what the emulator offers. SuperRetro16 also has an interesting feature that will appeal to people new to Android video game emulation. The emulator automatically searches your entire smartphone’s memory for Super Nintendo ROMs. This means you don’t have to worry about hunting down the folder you transferred your downloaded ROMS to, which is very useful given how confusing Android’s folder system sometimes can be. Even the location of on-screen buttons, as well as their design, can be altered in this feature rich emulator. Physical controllers are also compatible with SuperRetro16. 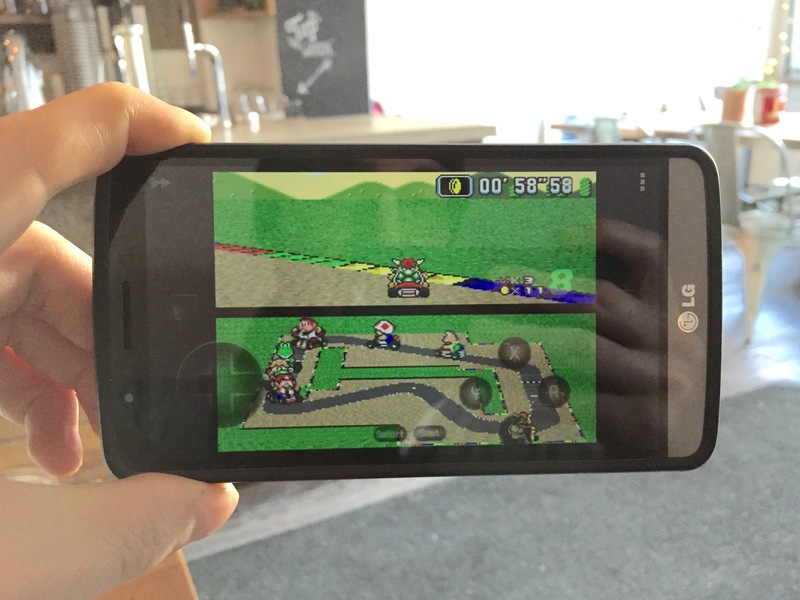 This SNES Android emulator might cost money, but you certainly get what you pay for. There’s also other older emulators out there that are decent, like SNESDroid and SNESoid (it’s only available as an APK and now on the Google Play Store), although neither emulator has been updated in a number of years and both are missing many of the more modern features SNESx EX+ offer and SuperRetro16 offer. But beware, there are a number of horrible, borderline scam SNES emulators on the Google Play Store, in part due to Google’s unregulated approach to managing its app eco-system. Avoid Mojo SNES, A SNES Emulator, and most combination emulators (apps that claim to emulate a variety of systems), mainly because their game compatibility is shoddy at best. 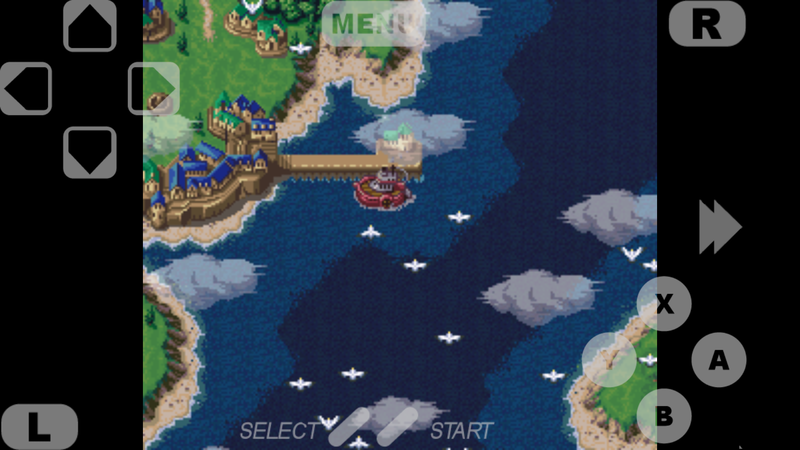 The simple fact that I can play Final Fantasy VI, my favourite 16-bit Final Fantasy title and probably one of my most fondly remembered games of all time, on the go, wherever I want, on nearly any Android device, is a mind blowing prospect. It’s important to note that downloading ROM files of commercial games, which are often widely available on many file-sharing websites, falls into a legal grey area and is often considered ethically wrong. While I didn’t get a chance to try it out, the NES30 Bluetooth programmable controller reportedly works great with most Android emulators, eliminating the need for frustrating on-screen touch controls.